I have been asked to write an article dealing with whether tenants can (1) acquire, or (2) enjoy easements. The question I was originally asked also included reference to tenants “without a written lease”. However, there is no real difference for these purposes between tenants who hold premises under a formal written lease, and those who hold under an oral tenancy, or tenancy by implication. The rules and comments below apply to either. Tenants obviously enjoy rights under their leases, sometimes expressly, sometimes by implication, which are in the nature of easements – a right to use the common parts to gain access to a flat for example. These are part of the grant of the tenancy, however, and arise from the moment a tenancy is granted. What if a tenant uses a pathway over neighbouring land, though, to gain access to the highway by some more convenient route? Or enjoys light through a window for in excess of 20 years? (2) Tenants cannot acquire easements by prescription against third parties – freehold owners or tenants of adjoining properties – unless and until the Court of Appeal or Supreme Court step in, prescription must be “fee to fee”, or freehold to freehold. I have already mentioned that tenants regularly enjoy rights in the nature of easements against their landlord, i.e. rights over or through the landlord’s retained land – a right to use common parts, to have pipes and wires pass through the landlord’s land, or a right to maintain a satellite dish on the landlord’s roof. However, what about rights over the land of third parties? If freehold land has the benefit of easements, then any tenancy granted out of that freehold land will also enjoy the benefit of such easements unless the right to use that easement has been expressly excluded from the tenancy. 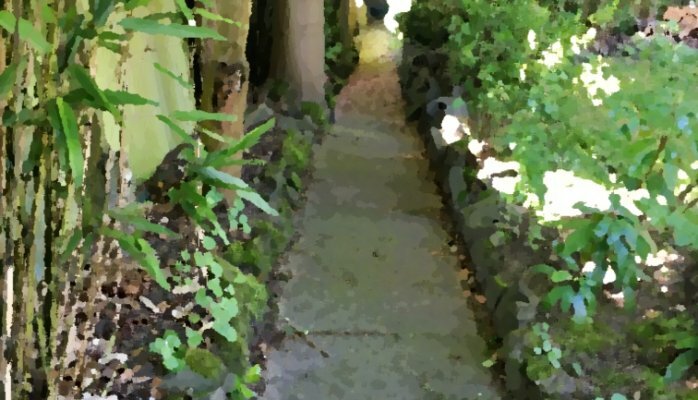 So, if a freehold house has the benefit of a right of way over a neighbour’s accessway or driveway, a tenancy of that house will include the right to use that right of way even if the tenancy agreement does not mention the right at all. In theory the tenancy might explicitly exclude the right to use the driveway, for example if there were an alternative access which the landlord for some reason wanted the tenant to use in preference to the driveway/accessway over which he had a right, but this is likely to be a very rare occurrence in practice. The general rule, therefore, can be said to be that tenants do get to enjoy easements which their landlord enjoys.